How can I resolve trust issues for my online shop? Trustmarks are a powerful tool that e-commerce businesses can use to improve conversions and sales abroad. However, not many companies understand the value generated by a trustmark and how to evaluate them. What exactly is a trustmark? 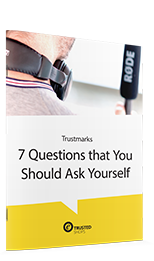 How well-known is the trustmark? Does the trustmark provide my customers with any concrete advantages?